*Perfect for parties, festivals, or just blending in! 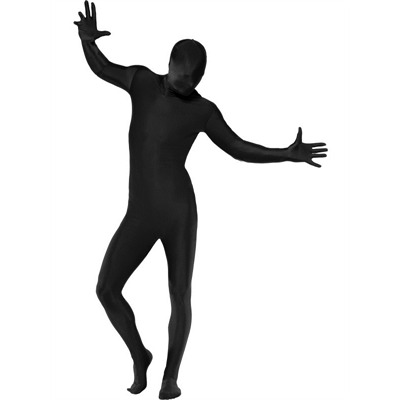 Second Skin suits (also known as Morphsuits) are a body-hugging coverall lycra suit popular at festivals and community events like fun-runs, carnivals and parties. They can be seen out of, breathed through, drunk through, are lightweight and feature a concealed fly and opening under chin to peel the face back and wear like a hood.